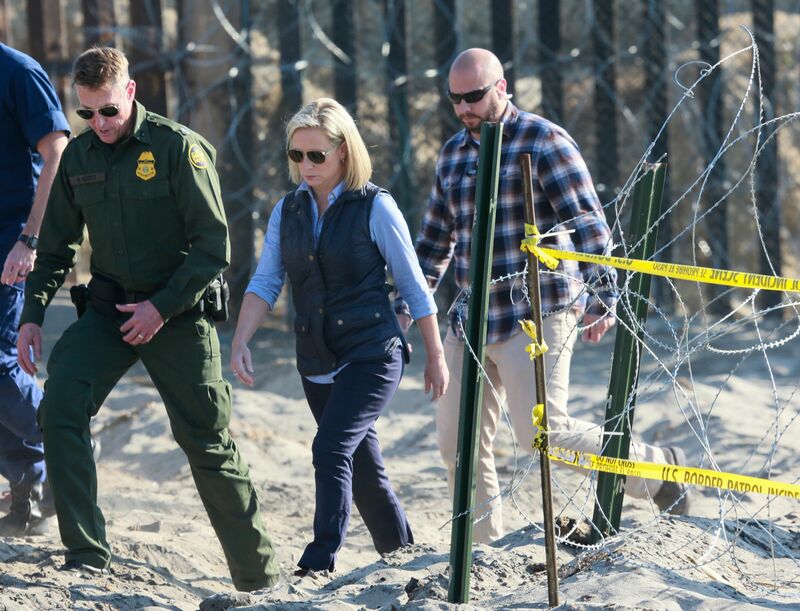 Trump’s words come as some migrants are reportedly within 500 feet of the U.S. border. As The San Diego Union-Tribune reports, approximately 150 asylum seekers are close to the border with a white flag emblazoned with the words “La paz y Dios,” translated as “Peace and God are With Us.” They have moved ahead of the rest of the migrant caravan that is camped out in Tijuana, Mexico. The administration was frustrated this week by a federal judge who said it was unconstitutional to deny illegal immigrants the chance to apply for asylum in the U.S.